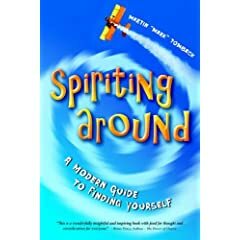 Mark Tomback is the author of Spiriting Around: A Modern Guide to Finding Yourself, a self-help/spiritual book. He originally wrote it for teenagers and then decided it was for everyone for we all make the same age journey. Mark says his awakening occurred in the early seventies when he started reading the Edgar Cayce books and began experiencing conscious moments of reality. Later he was drawn to the New Age movement. It was then, he says, he healed himself – he retrained his mind. I decided to do as Oprah does and send out only one reminder message. The day before the show. Mark was one of my firsts guests on the show. He requested being on the show to promote the book he wrote based upon his own life experiences and just as the conversation was about to get interesting, our time was up. Back then I didn’t know how to extend the show, I didn’t know if we kept talking after our timeslot that would be recorded also, so many things I know now.